In the first part of this two-part blog, we discussed the roof condensation phenomenon and how it can do a surprising amount of damage to the roof and the rest of your home’s structure. 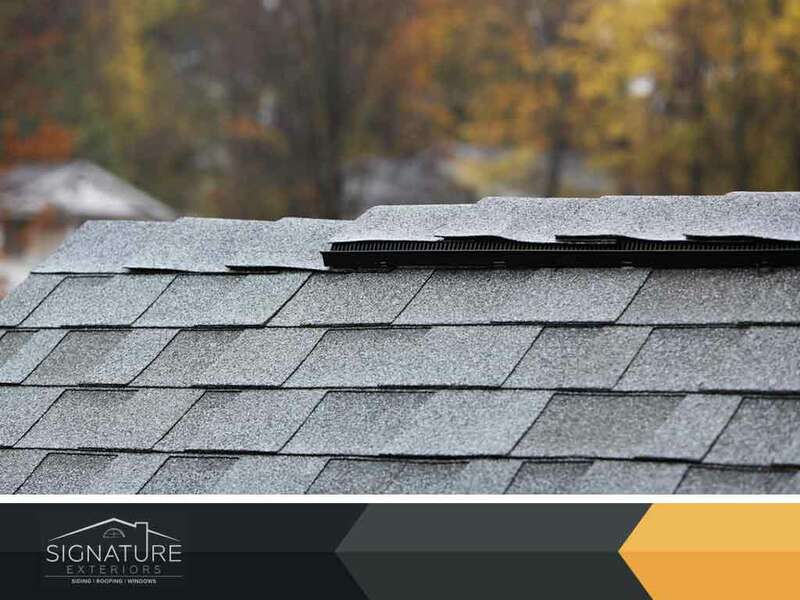 In this post, your roof and siding experts at Signature Exteriors discuss how you can reduce or completely prevent roof condensation through attic vents. What Do Attic Vents Do? The vents in your attic serve as the lungs of your roof; specifically, it expels stale air out and let’s in fresh air from the outdoors. During summer, the vents help the roof naturally shed accumulated moisture. During winter, these vents help keep the roof from drying out and going brittle as the temperature drops. Ventilation falls into two main categories: intake and exhaust vents. Intake vents are what allow natural airflow into the attic and are usually installed under the eaves of the roof. The exhaust vents on the other hand let a steady stream if air flow through the attic and back and expels stale and moisture-rich air from the attic. Properly installed attic vents don’t just keep the roof condensation-free, it also positively affects the parts of the home near or connected to the roof. These include the exterior walls and vinyl siding, the windows and the gutters. These two are the most commonly used attic vents as they completely prevent condensation from happening. Soffit vents are installed underneath the eaves and are usually made of aluminum or other metals. These are paired with ridge vents which are responsible for drawing out hot air from the attic. These are the two most practical choices for attic ventilation as they are easy to install and compliments a wide range of architectural styles. That said, you aren’t restricted to these two completely. For a higher upfront cost, you can install powered roof vents such as wind turbines. Ventilation: How Much Do You Need? The recommended amount of ventilation is a square foot per 100 square feet of attic area. It follows thought that a larger roof will require more vents to ensure proper ventilation. Conversely, smaller roofs usually only require one or two roof vents. At Signature Exteriors, we will help you determine how much ventilation your roof needs to prevent condensation from happening. We also install horizontal vinyl siding. Call us today at (866) 244-8029 to learn more about our services. We are roof and siding experts in Connecticut.